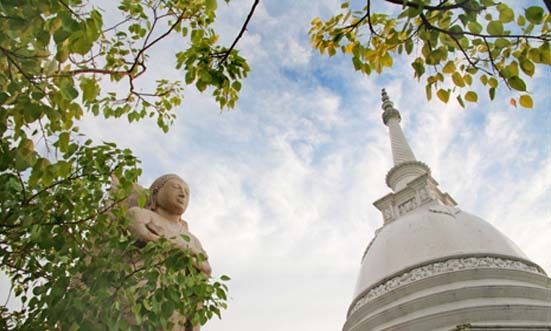 Why Gangaramaya (Vihara) Buddhist Temple is special ? As one enters the temple, one will see a huge mural on the wall depicting the ‘Atalo Dahama’ (the eight vicissitudes of life) – gain and loss, good repute and ill repute, praise and censure, and pain and pleasure – to give the message that one shouldn’t be disturbed by these. 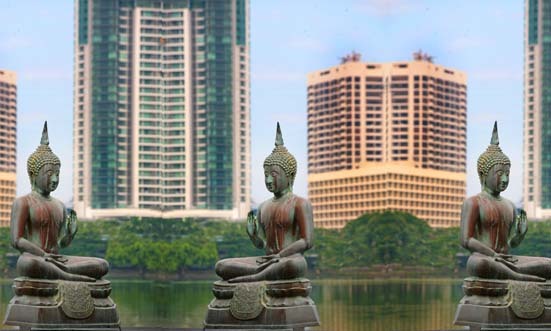 What to explore at Gangaramaya (Vihara) Buddhist Temple? 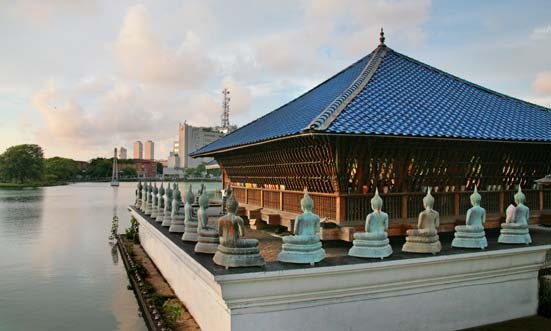 The Gangaramaya Temple is one of the bigger Buddhist temples in Colombo. Once you enter the temple buildings you completely forget that you are in a busy city. In the evening, sitting under the Bodhi tree where monks chant and pray, tranquility descends around you. 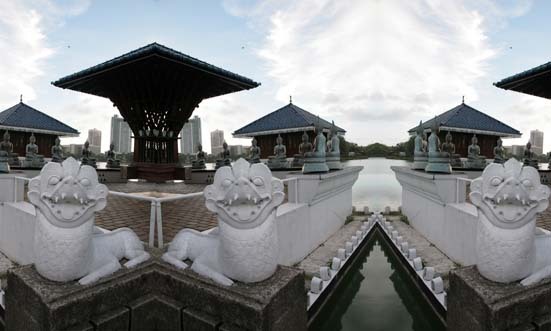 It is definitely not a site to be missed on your visit to Colombo. Situated near Beira Lake, in the heart of Colombo, the temple was established in 1885 by Venerable Sri Sumangala Nayaka Thera. It gradually grew into the complex it is today, which includes the Vihara (monastery), Cetiya (pagoda), Vihara Mandiraya (Image House, which is full of colorful Buddha statues), Seema Malaka, the Bodhi Tree, the Relic Chamber, as well as a library and a museum. At the far end of the courtyard are rows of elevating steps on which Buddha statues of the Thai style have been sequentially placed to greet the skyline. 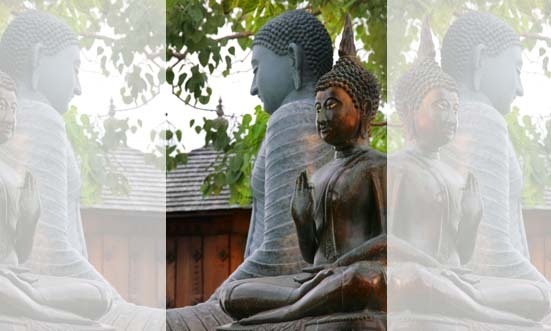 How to get to Gangaramaya (Vihara) Buddhist Temple? Airport Taxi There are some taxi counters, some belonging to 4 / 5 star hotels, providing air conditioned taxis on a fixed price basis depending on the destination. It is highly recommended to agree on the fare beforehand to avoid being overcharged. As of March 2015, the fare was between LKR 2,500 & 3,000 to Colombo so do shop around for the best rate. There is also a mini van taxi service counter in the arrivals hall providing transport services. The rates are not cheaper than air conditioned taxis but a mini van will seat more than four passengers. The services are primarily for the locals so if you do not hold a Sri Lankan passport, they may refuse to offer you one. The most impressive thing is the little golden Buddha which needs a lens to be viewed in some detail. Gangaramaya is situated close to the Seema Malaka temple. You must remove your shoes but can keep your socks on. There are elephants on site, and the temple has a beautiful collection of classic cars, and antiques. There is a museum with display cabinets containing lots of memorobillia probably dating back to the days of British rule and sadly lots of elephant tusks and ivory carvings. There are lots of lovely ancient rare statutes available here. we visited this during the last days of the Vesak (Buddha) festival. Everything was decorated with lanterns everywhere. You must remove your shoes but can keep your socks on (and you may want to because the stones can be hot in places). I would bring a pair you do not mind getting dirty. We had a guide who got us into the adjoining museum. Apparently it's not open to everyone. There are some stunning pieces to see. if you enjoy taking photos you'll love the photo ops (pay for using your camera inside). Always make sure to ask permission when taking people photos. We found them to be very cooperative. Share your pixs with them and they'll be delighted.